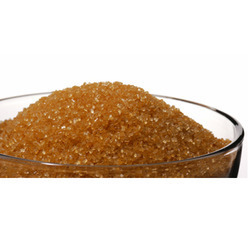 We are Manufacturers and exporters of high quality Brown Sugarfrom India. Our Brown Sugaris widely used in various Industries including Hotels, restaurants and Coffee shops. Our Brown Sugaris widely used in bakery, soft drinks, ice creams , herbal cosmetics and squashes etc. We are exporting Brown Sugarto various countries like Middle East, UAE, Israel, Dubai, Poland etc. Brown Sugar is a sucrose sugar product with a distinctive brown color due to the presence of molasses. It is either an unrefined or partially refined soft sugar consisting of sugar crystals with some residual molasses content (natural brown sugar), or it is produced by the addition of molasses to refined white sugar (commercial brown sugar). Commercial brown sugar contains from 4.5% molasses (light brown sugar) to 6.5% molasses (dark brown sugar) based on total volume. We are the leading entity of Light Brown Sugar. Experts employ quality checked ingredients and other input, which is bought from top sellers of the market to process these products. To uphold the quality, our products are processed under the guidance of industry certified experts. We make sure that our product line retains their nutrition value as they are packed using qualitative packaging materials. 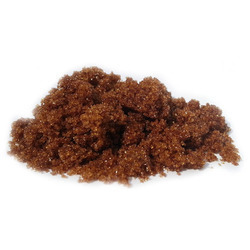 Dark Brown Sugar is a sucrose sugar product with a distinctive brown color due to the presence of molasses. It is either an unrefined or partially refined soft sugar consisting of sugar crystals with some residual molasses content (natural brown sugar), or it is produced by the addition of molasses to refined white sugar (commercial brown sugar).